Disc Publishing | Endeavor Digital, Inc. The important takeaway from the article above is the value proposition. Content with real value will always be able to command a price, despite downward price pressures. Take the music industry, as cited by Mary Cullinane in this article. It has a history of downward price pressure. Look back at the days of record stores, when music was distributed exclusively on vinyl or tape (cassette or 8-track – take your pick!) and later on CDs. New releases always cost more than items that had been out for a year or more. That’s because the content hadn’t changed (it was still the same song!) and, thus, its value hadn’t increased. More people owned the album and it had gotten considerable play on the radio, so there was less interest in buying a product that could be heard almost everywhere. The invention of the CD may have been the most insidious attack on the music industry in history! Within a short time, the average person was able to find ways to copy CDs and distribute them to friends (or pirate them for sale). Suddenly, the value of the music content dropped because consumers were able to easily access the content without paying for it. It was an even shorter jump to playing the music from a hard drive. Even the music industry’s attempt at protecting content using the CDA format for tracks on the CD was short-lived as software enabled conversion to alternate formats such as MP3. And again, the value of the content declined because “sharing” became exceptionally easy and users didn’t have to pay for their favorite music. Eventually, the music industry stabilized to where we are now. You can buy just one song on iTunes for around $1.00, or unlimited streaming music from Spotify for $9.99 per month. Sure, it’s easy to make copies of music and give it to friends for free, but the cost to consume it has become so low that it seems more of a hassle to copy and share it than to pay the minimal amount required to own it or stream it. But, even with all of these developments, why couldn’t music maintain its value? Imagine if the music industry had a business model whereby the song itself changed, improved and needed to be updated occasionally to be “true”. (I think I hear someone saying, “It does change – I had to buy it again when it came out on CD.” That’s not a change to the music, just to the platform that presents the music.) If a song really did change, or improve, or adapt to your needs (perhaps automatically playing louder when sensing a listener with hearing loss, or alter the song to better suit your tastes such as using a female voice instead of a male voice, or alter the sound of a rock and roll song to make it a country song), music would maintain a higher value. One company I worked for in the 1990s had a strong value proposition. Our products were the best and most expensive in the industry and management was committed to never reducing prices. The strategy to accomplish that goal was to always offer more value. Improved software, improved hardware, new development was always in process. And it worked. Despite never reducing prices, every year we sold more than the previous year, despite an ever-increasing number of competitors with lower priced systems. Mary Cullinane, in her article, posits that educational content will fall into the same category of having ongoing value, or increasing value, because it will be adaptable to the needs of the student. Thus, she is confident educational content won’t be free. And, while I agree there is little risk of transitioning to a free approach, she ignores one significant element capable of an adverse effect on educational content’s value proposition. That effect is competition. Competitors may enter the market with lower priced solutions which can have a negative impact on sales or the pricing for her company’s products. But competition alone does not necessarily mean that educational content, or any other content, will become free. Let’s go back to the company I worked for in the 1990s. New competitors were constantly entering the market and all of them had lower priced options. Yet, every year, our company increased sales and exceeded goals. That’s not to say that we sold more units than our competitors did. Many of them probably sold a greater number of units than we did. But our model wasn’t built on a value proposition that required us to compete on a “who can sell more units” basis. Our model was built on manufacturing systems that did more, did it better, did it more reliably, and continually provided our customers with more features and benefits than any competitor could offer. There are many examples of this approach succeeding. Software is an excellent one. Many software companies sell very expensive solutions (a number of Adobe and Microsoft products come to mind) in the face of free competition. This would not be possible if the free products worked just as well as their expensive counterparts. 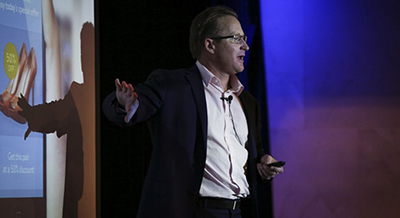 No matter what you manufacture or sell, if your value proposition involves offering a superior product or service, combined with strong support for what you sell, you won’t have to succumb to giving it away for free and you can control your company’s destiny. If your answer to that question is anything but “It’s the most important thing”, you should probably review your priorities. Everything your company does, every product you release, every decision you make, every interaction with a customer or prospective customer, should be based on providing the best possible user experience. Before the internet, the old saying was, “Satisfied customers tell 2 people, dissatisfied customers tell 10 people”. That was probably accurate. But today, the internet has made it easy for satisfied or dissatisfied customers to tell MILLIONS of people! When you are considering a product to buy, how often do you check reviews, see how many stars the product is rated, or read blogs for more detailed information? Studies show that the number of people researching in these ways has only grown over the last decade. It probably makes sense that a certain element of the old adage still applies. If you search on the internet, you’ll see good reviews and bad reviews, but it’s probably easier to find more bad reviews because people tend to be more emotional about things that upset them. More importantly, think about your own experiences. How many times have you decided not to engage in additional business with a company where you had a bad experience? Was it a bad experience with a customer service rep? Difficulty buying something on a web site? Internet service that can’t stream your movies effectively? It doesn’t matter what it was, if your experience was poor and you decided not to do business with a company because of it, then you will probably understand the results of a January 2015 survey about data storage management products and services conducted by IDG Research. One result of that survey was that 83% of respondents said that improving the user experience is critical or very important, and listed it as their #1 business goal for 2015. This industry recognizes the value of the “user experience”. 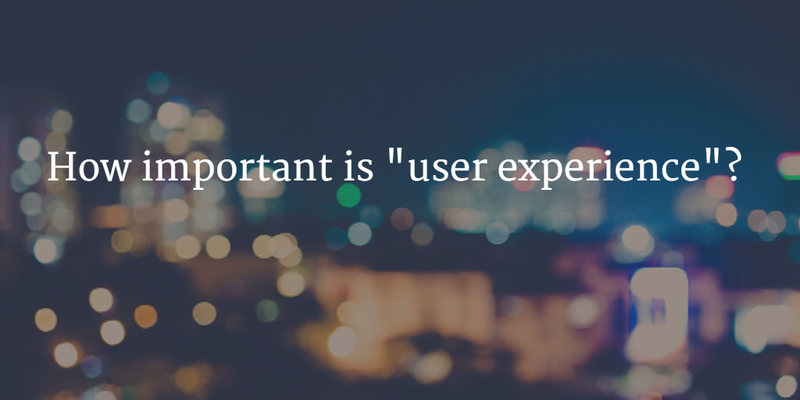 So how important is user experience to your company? It was another blog post that inspired this one. That post provided advice and instruction to protect yourself against hackers – How to protect yourself against hackers (or at least make it difficult for them). The author assures us that, if someone really wants to access your information, they will find a way to get it. But there are steps you can take to make it more difficult for the hackers and, following those suggestions, you might just keep your data protected. The same can be said about pirating your digital content. That is, if someone really wants your content, they will probably find a way to get it. But there are steps you can take to protect your content from theft, unauthorized use, and illegal distribution. DRM (Digital Rights Management) can be an effective tool to protect content from piracy when distributing electronically (via download). Copy-protection of CD or DVD discs is another deterrent to theft of digital content. You can also protect content when distributing on USB Flash drives, or “thumb” drives as they are often called. Will using these strategies guarantee your content cannot be used in unintended ways? No. But you will have made it much more difficult for someone to use it in unauthorized or illegal forms and these protection strategies are effective for almost all content. Let’s examine it objectively. Unless you have developed a hacker-proof operating system or you have the next film in the Star Wars franchise, hackers and pirates aren’t likely to spend an extraordinary amount of time trying to steal your content. Most digital content publishers serve a particular and limited audience which means the effort/reward level is not high enough to warrant extraordinary means to access or utilize the content illegally. – Does my business growth and success depend on my digital content? – If my digital content was used regularly without the users paying for it, would it hurt my business? – Do I want to sell more of my content? – How important is it to collect information about who is using my content? If you answered yes to any of these questions, it is probably worth the additional investment to protect your content. Studies have shown that protected content tends to sell more copies because “casual” sharing isn’t easy, and when that content is available in electronic forms for download, it increases sales even more while expanding the reach to a greater number of international customers. Click here to have your digital content evaluated for the benefits of protection!